ICBC Standard Bank, China and the world's largest bank, has been reclassified as a spot Market Making Member of the London Bullion Market Association (LBMA) with effect from today according to a note posted on the LBMA website last night at 2100 GMT. “In order to qualify as a LBMA Market Maker, a company must offer two-way quotations in both gold and silver to the other Market Makers throughout the London business day. Reclassification is the responsibility of the LBMA Management Committee. In deciding on the issue of reclassification, the Committee takes account of the views of the other Market Makers on the performance of the candidate company during an approximately three month probationary period. 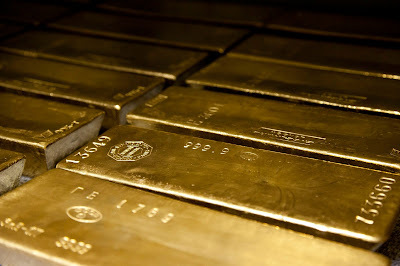 ICBC becoming a new LBMA market maker in the gold market, while expected, is an important development and again shows China’s intent with regard to becoming a key player in the global gold market. we are surprised by the lack of coverage of this important event but this could be due to the fact that the note was published at 9pm London time.